It looks like the pair, after completing flat pattern in wave , is on the verge of a very significant fall. 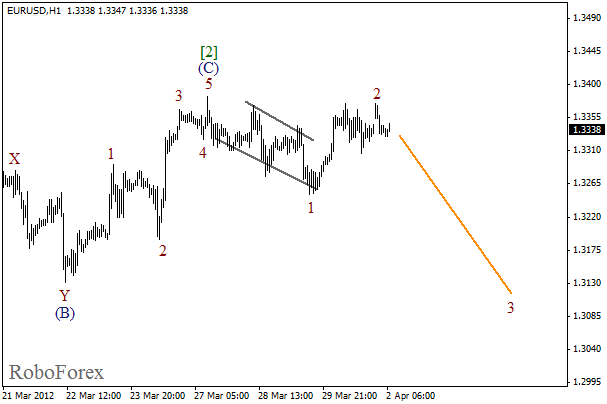 Earlier the price formed an initial wedge pattern in wave . Most likely, the pair will start moving downwards again during the next several days. 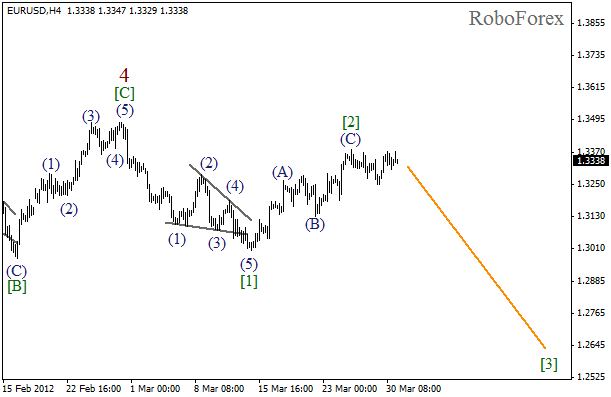 At the H1 chart, after completing wedge pattern in wave 1, the price formed the second wave. Despite the fact that the market was opened with a gap up on Monday, the bulls couldn’t stay at their new levels and the price moved back quickly. In the near term, we can expect the pair to reach a new local minimum. 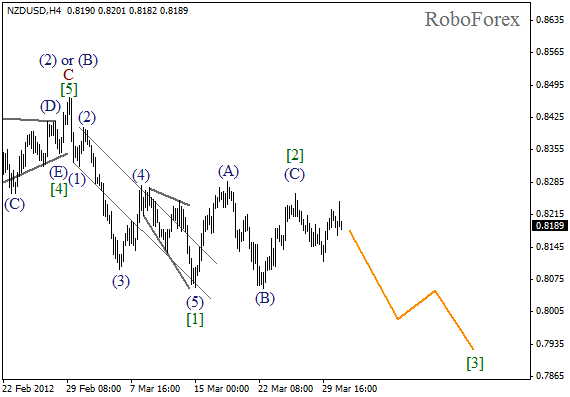 After finishing zigzag pattern in wave , Euro is trying to make a reverse in a downwards direction. Earlier the price formed a descending wedge pattern in wave . In the future we can expect the pair to start falling down while forming wave 3. It looks like the price formed an initial wedge pattern in wave 1. 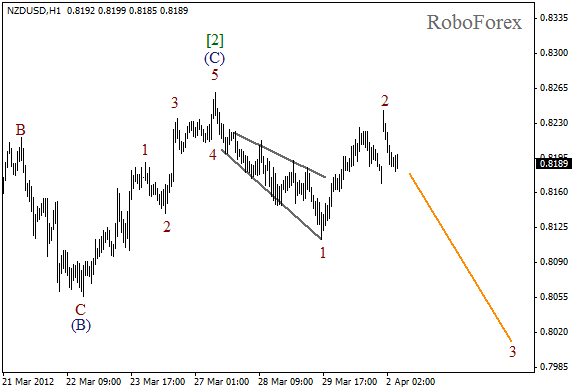 An unsuccessful gap up this morning finished the second wave. Most likely, Euro will start moving downwards while forming wave 3 during Monday.